Chinhee and Sunhee Park can now be found at www.ESPsychics.com FULL Time. 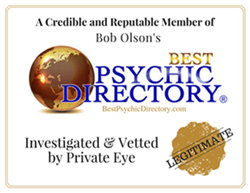 They have created another site where there are other psychics that have been tested twice to ensure accuracy, gifts and personality. Please register, once you log on, you can click on Chinhee or Sunhee’s profile, and you can do a phone, chat or email reading. Please email for first time caller discount at info@ESPsychics.com Thank you for visiting us!! !